Runners will be out in force next month to represent a Birmingham charity which supports community projects across the city. 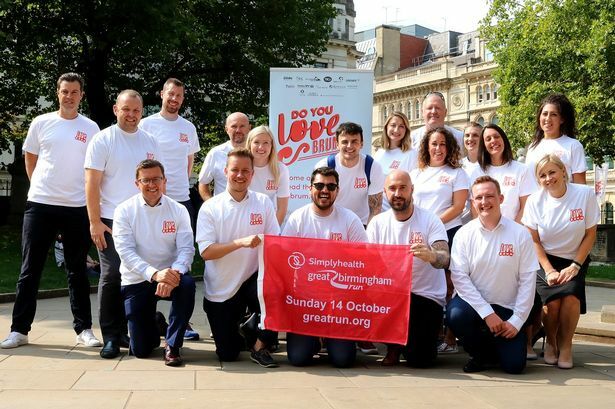 LoveBrum has amassed a 90-strong team to tackle the Simplyhealth Great Birmingham Run half marathon and raise vital funds to support its work. The charity&apos;s members get to vote on the causes they would like to see receiving grants and recent beneficiaries include rescue charity Wellcat and the grade II-listed Moseley Road Baths in Balsall Heath. Executive director Paul Mitchell said: "LoveBrum is overwhelmed by the number of people who are taking on the challenge of this year&apos;s Simplyhealth Great Birmingham Run to fundraise on behalf of the charity. "The continued support we receive from businesses and individuals across Birmingham means this is a really exciting time for LoveBrum, with the charity going from strength to strength. "The money raised will continue to have a huge impact on the hidden-gem projects that we support across Birmingham, as voted for by you each and every month." This year&apos;s race takes place on Sunday, October 14 and will welcome the return of Broad Street and the famous Lee Bank Middleway hill to the route after being axed last year because of the roadworks. Normally the locale of the famous home straight, Broad Street will house the 2018 start line and runners will be relieved to run down rather than up the legendary Lee Bank Middleway section. The course will take in landmarks such as Cannon Hill Park and the Cadbury factory in Bournville before heading to Digbeth, Selfridges and the finish line in Jennens Road. The 2018 event again features the Business Challenge which invites office teams to compete for fastest-time trophies and those all-important bragging rights in the corporate world. Entries are available on the Great Run website here. Entry costs £36 but there is a discount of £10 if you ran the Great Birmingham 10k in May. Runners must be 17 or over on the day to take part. You can also enter a team from your workplace in the Business Challenge - details here. There are junior races, also taking place on October 14 in the city centre. The price is £10 per child, with junior and mini runs for ages three to 16. Entry is also available on the Great Run website.